Andra is a warm and kind hearted mom who works tirelessly every day to save lives and make a difference at the Grand Strand hospital in Myrtle Beach. She is a devoted mother to Mikayla who is a climbing-on-all- things expert toddler :)) Along with her better half, Matt they make some of the best parents who really cherish family time. 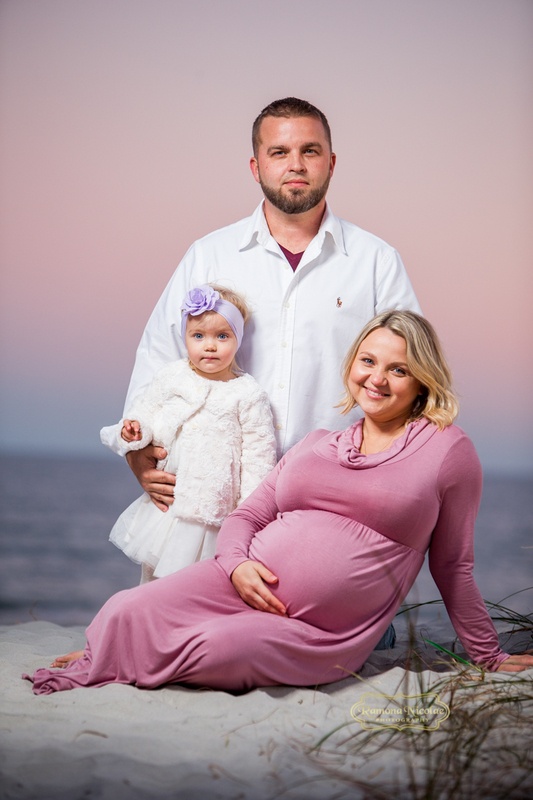 When they found out they will be parents again with another gorgeous little girl they decided to have this unique pregnancy moment photographed by Myrtle Beach photographer Ramona Nicolae. Maternity is a gorgeous time for any woman and for Andra was no different. Even though she went through some tough times during this pregnancy her glow and bright aura were always there and she was such a pleasure to be around. She's just so radiant and her maternity pictures show it! 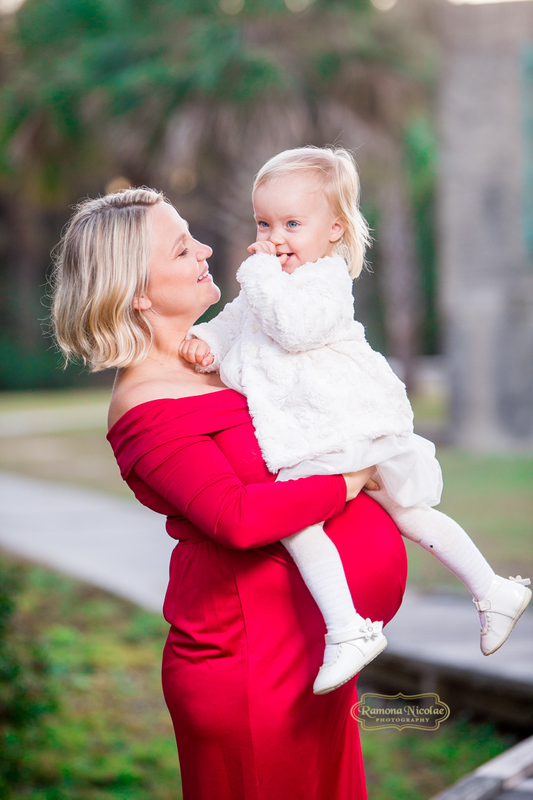 They chose to have family pictures done around her maternity photo session and Huntington State Park and Atalaya Castle was their choice of location. Andra looked amazing in all of the maternity gowns she wore for the session but out of them all she looked stunning in red! Won't you agree? As any of the Myrtle Beach photographers would agree the location was quite stunning as well. Huntington Beach State Park is on the coast of South Carolina. Its Atlantic beach and wetlands are inhabited by sea turtles, alligators and rich birdlife. Atalaya, a vast 1930s Moorish-style castle, was the home of the Huntingtons, who once owned the land and the ruins now make for a gorgeous backdrop for maternity photo sessions and more! Take a look at some of my favorites from her session and let me know what you think of Andra's pregnancy pictures!